Tracing the footsteps of rebels like Kartar Singh and Sita Ramaraju with a rural archivist — none other than the iconic P. Sainath… Wrote this piece to mark his groundbreaking initiative PARI’s first anniversary; published in The News on Sunday, Jan 3, 2016. Text below with links and additional photos. I had of course long known of him as the feted author of the best-selling book ‘Everybody Loves Good Drought’ (Penguin, India, 1996) that highlighted the issue of skewed development and farmer suicides in India. The book, now in its 34th edition, emerged from Sainath’s series of reports after winning a Times of India fellowship in 1993, based on travels around the country living with the poorest communities. At the talks, he shared his insights and wealth of experience on the lives of India’s working classes. At in-person discussion at a mutual friend’s place later, I learnt that besides occasional visiting professorships at Princeton and other universities abroad, Sainath has long taught at the Sofia College of Journalism in Mumbai and at the Asian College of Journalism in Chennai. The recipient of several awards, he quietly pours a significant portion of award funds and savings back into his work, supporting other journalists as well as families whose stories he takes up. They are not his subjects but storytellers to whom Sainath gives voice. Through PARI, he also gives them a platform, training them, particularly the younger generation, to tell their own stories. As we talk, our discussion turns into a eye-opening history lesson for me. Unsurprisingly, this salt-and-pepper haired pioneering rural reporter, as he calls himself, hails from a small village in the south of India, in the “rebel belt” against the British. In fact, “all the great fights took place in rural India, even 1947. They were basically agrarian uprisings,” he adds. One of the legendary figures in that fight was a man who called himself Sitarama Raju, who hailed from Sainath’s village. The story of how he came to take on a woman’s name, Sita, says much about this fascinating, unusual character whose real name was Alluri Ramachandra Raju. In 1917, he came out of hiding to attend the funeral of his lady love. There, he announced that he was taking on her name and should henceforth be called Sitarama Raju. The British were destroying the forests that the Koya tribe of the area depended on – a pattern that continues today worldwide, with indigenous peoples still pitted against modern-day colonists – foreign or domestic – in the fight for resources. Faced with destruction, the tribals found their primitive bows and arrows pitted against the cannons of the colonists, Sainath tells me. 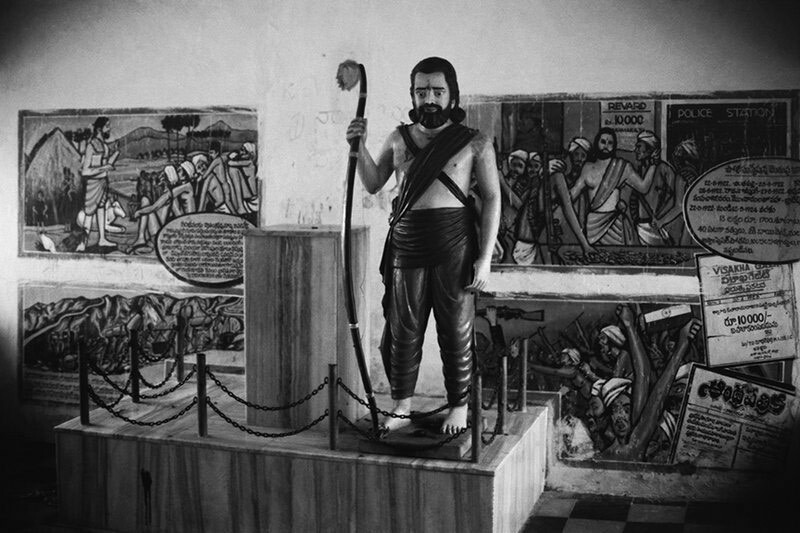 “According to the political agent tracking Sitarama Raju, he disappeared for five years. There’s speculation that he landed up with the rebels of Bengal and Punjab. In 1915 he comes back as a sadhu – in red – on horseback. He’s an expert in archery and the martial arts. The British try to buy him out by offering him 50 acres of land in the Godhawari delta. He takes the land and uses it to raise an army, starts harassing the British”. However, Sitarama Raju was very clear about who the enemy was and who should be targeted. He commanded his men “not to bother killing Indian collaborators” – only armed personnel of the Empire. This is a principle today’s Maoists and other dissidents using similar tactics ignore. Kartar Singh was no more than 15 or 16 when taken from the Punjab to the orange plantations of California along with many other fruit-pickers, to break up the Chinese workers’ strike – “using one group of marginalised against another,” to use Sainath’s words. The British crushed the Gaddar uprising with an iron hand. According to the caption on one of the frames with photos titled “India’s Martyrs” says that they were among the 400 hanged between 1915 and 1916. Photos of some men in a compilation titled ‘India’s Heroes’ says that they ere among some 5000 who were imprisoned between 1915 and 1016. In 1913, Kartar Singh traveled back to India via Ceylon and through Madras back to Punjab — on a bicycle. He used songs and poetry to incite insurrection in the armed forces. But he was betrayed. The British smashed his network.